Joseph Vogl is Professor of German Literature, Cultural and Media Studies at the Humboldt University in Berlin. He also is permanent visiting professor at Princeton University. 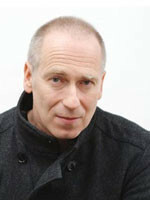 Besides research in the areas of literary theory, literary and media history, with publications on Kafka, Goethe, Stifter, Fontane, Brentano, and his monograph Über das Zaudern – On Tarrying, he is well known for his intensive work on modern and present-day finance and economics, analysing finance theories from the perspective of cultural history. This work is documented in Kalkül und Leidenschaft. Poetik des ökonomischen Menschen and culminated in his book Das Gespenst des Kapitals – The Spectre of Capital, which received wide recognition in the fields of cultural studies as well as economics, and initiated a public debate. His subsidiary project connected to the Excellence Cluster Topoi demonstrates through the theme of chrematistics and its profile of characteristics how economic processes and social structures permeate and pervade each other.